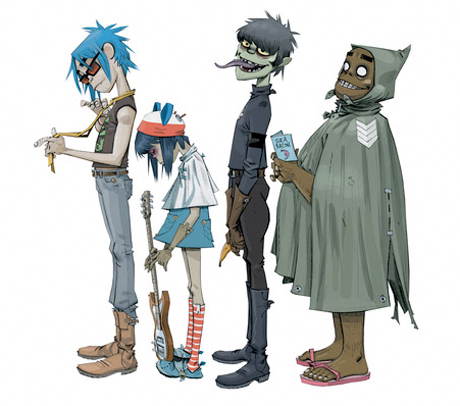 Less than a week after we reported a mere handful of North American tour dates to be played by the Gorillaz this fall, the animated crew have unveiled the rest of their tour, including more Canadian stops in Toronto and Vancouver. The full-on spectacle that is the Gorillaz live show will hit North American shores on October 3 in Montreal, and will trek through most major cities in the U.S., as well as stops in Toronto and Vancouver on October 14 and November 3, respectively. Given the sizes of the venues the band is playing and the length of time since they've been on a full-fledged North American tour, we're guessing this one, titled the Escape to Plastic Beach Tour, is not to be missed. Members of Gorillaz' fanclub the Sub-Divison will get an exclusive 48-hour pre-sale sometime soon. All other fans can pick up tickets when they go on public sale, which for Toronto and Vancouver fans means August 13, while Montreal can get them a day later, on August 14. Gorillaz are touring in support of their third LP, this year's excellent Plastic Beach.